Despicable Me 3 is an upcoming American 3D computer-animated comedy film that is being produced by Illumination Entertainment and released by Universal Pictures. 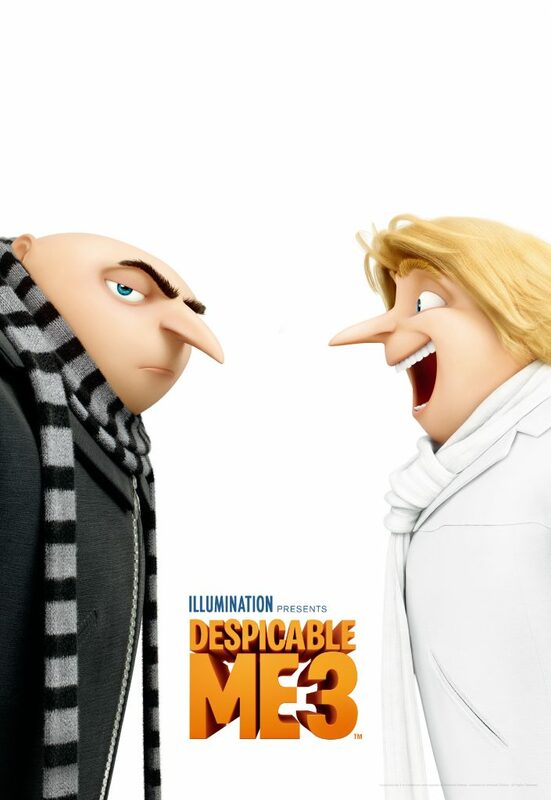 It will be the third installment in the Despicable Me film series, and the sequel to Despicable Me 2 (2013). Directed by Pierre Coffin and Kyle Balda, and co-directed by Eric Guillon, the film is written by Cinco Paul and Ken Daurio. It stars the voices of Steve Carell in a dual role, Kristen Wiig, and Trey Parker. It will premiere on June 14, 2017, at the Annecy International Animated Film Festival, and is scheduled to be released in the United States on June 30, 2017 by Universal Pictures.